Barnard and Gibson. Quaker Guns. Confederate Fortifications, Bull Run. Barnard and Gibson. Quaker Guns. 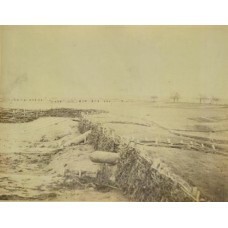 Confederate Fortifications, Bull Run. March, 1862. &nbs..